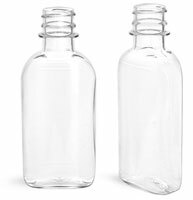 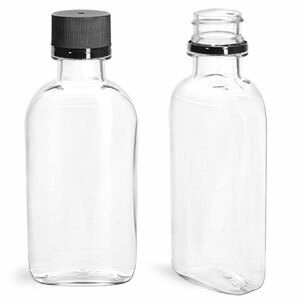 These 100 ml PET flasks come with black polypropylene ribbed tamper evident caps. 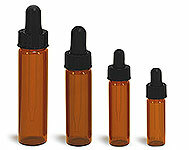 The included caps are an excellent choice when your product requires a tamper evident seal. 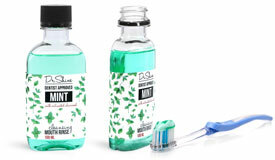 Consider using these plastic flask bottles for beverages, bath and body products, and more!